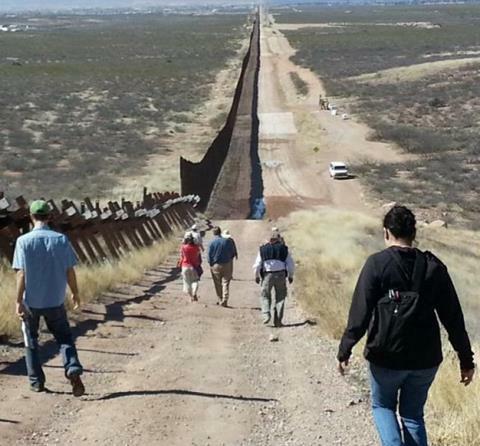 MCC U.S. board and staff members visit the border wall in Arizona in June 2018. Your gift welcomes newcomers to the U.S.
NY Times: Trump claims there is a crisis at the border. What’s the reality? NY Times: The border wall: What has Trump built so far? The Nation: Who killed Jakelin Caal Maquín at the U.S. border? Cato: Senate GOP bill doesn’t extend DACA. It guts it. Cato: Senate GOP bill doesn’t extend TPS. It guts it. Update created January 30, 2018, by Tammy Alexander, Senior Legislative Associate for Domestic Affairs.